Hello, my name is Snack Queen. And my daughter? Her name is Snack Princess. 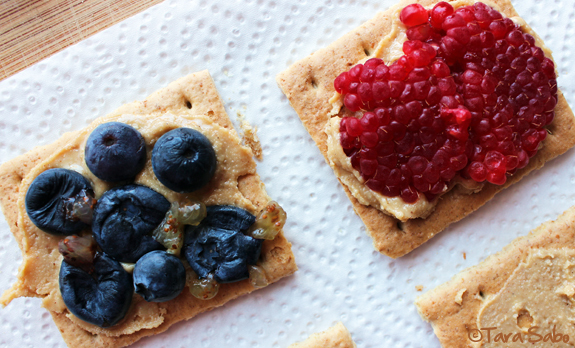 We love snacks, especially if they're healthy. We have one in the morning, and one in the afternoon. We do our best to make sure they're homemade, but we sometimes rely on pre-packaged goodness. Today's afternoon snack was a combination of both. Part homemade, part out of the box. Technically, this is a recipe post. But you won't find an actual recipe within. 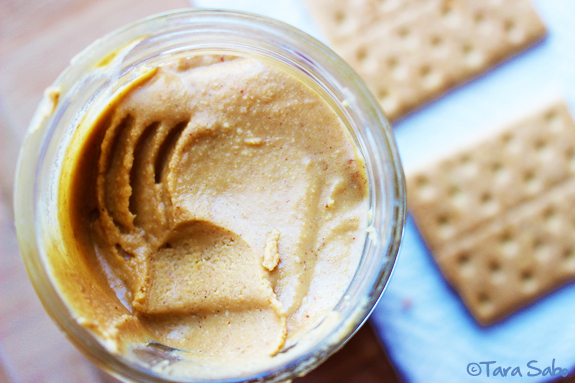 This snack is that easy. And healthy. 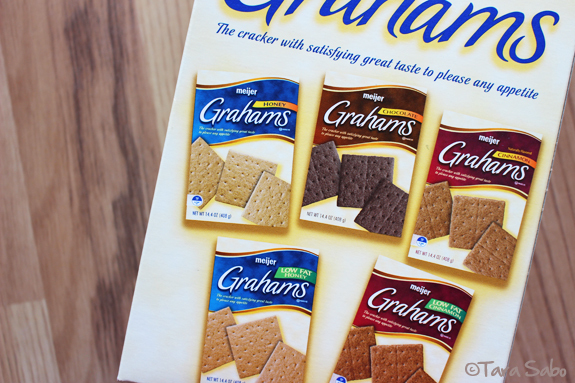 Someday, I'll try my hand at making my own graham crackers. But for now, the kind I buy at the store are getting the job done. 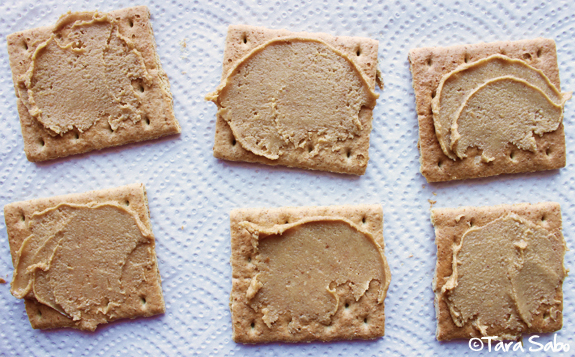 You might say we're on a graham cracker kick. A trip to the store is incomplete without a box in the cart. I mean, at least I make my own peanut butter. So that minimizes the "processed" factor a bit. 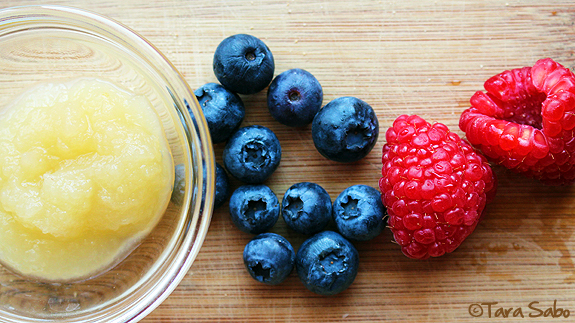 And this snack is filled with fruit. I went with (natural) applesauce, blueberries and raspberries. I trust you an figure out how to make the sandwiches you see above, but I'll do as bloggers do and break it down by picture for you. Because, #photography. Even the picky kid loves them. I like these as a make-ahead snack, too. I'll often make them at night, store them in the 'fridge, then stick them in my gym bag before heading out in the morning. Carbs, protein, and sweet-tooth satisfaction. 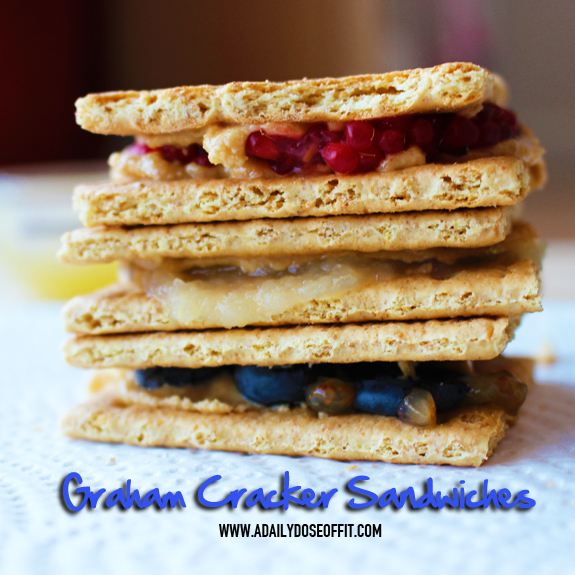 All layered up in one healthy snack. 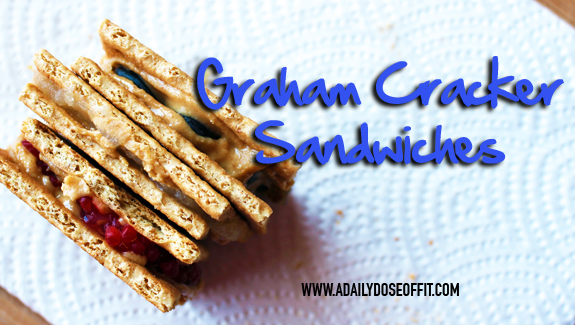 Question: What kind of graham cracker sandwich would you make? Yum! 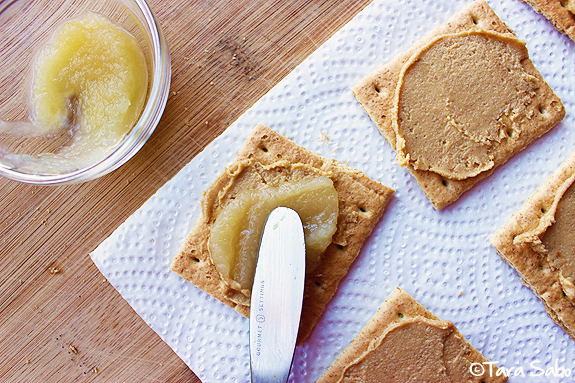 I'd add thin apple slices and almond butter!